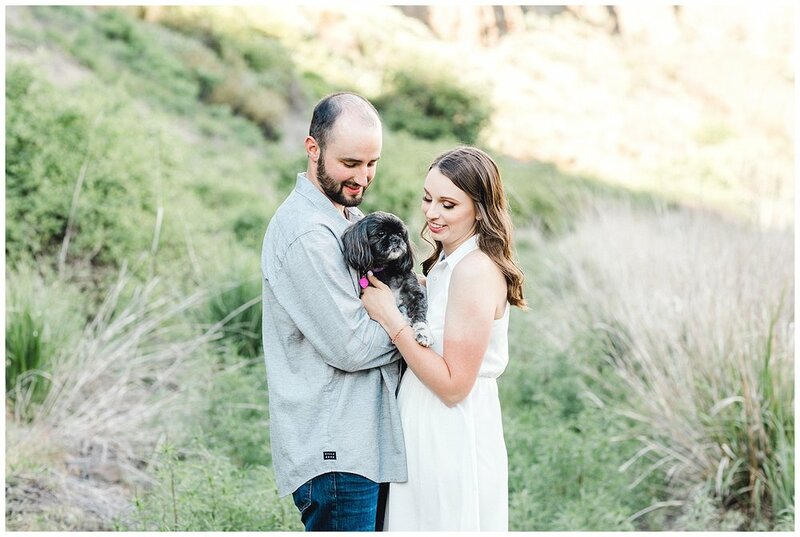 I was so excited to do engagement photos for Mark and Kendall after talking to Kendall on the phone and booking their September wedding. Mark is a long-time friend of the family and his fiance Kendall just moved to Yakima, Wa from Portland. After talking on the phone a little bit, Kendall said she didn’t know the Yakima Valley area very well yet and trusted me to pick a location. Once I landed in town, I headed up to the lower head of Cowiche Canyon trail and RIGHT off of the parking lot there was a GORGEOUS field with beautiful, even light and I knew this was the spot. 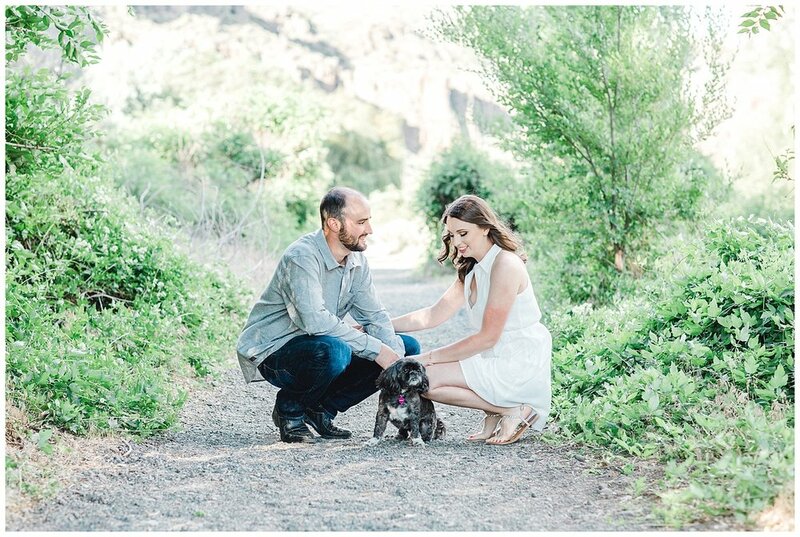 We started our photos with Kendall’s sweet dog, on the gravel trail and then moved back to the field I had spotted and boy were they troopers!! 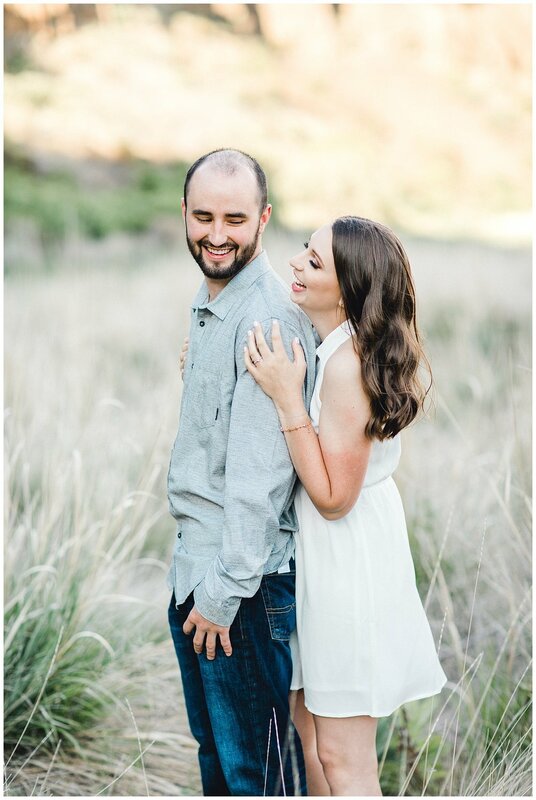 Kendall and Mark tromped around in the dust and dirt and climbed up the side of a hill and Kendall even sat down in her beautiful white dress!! 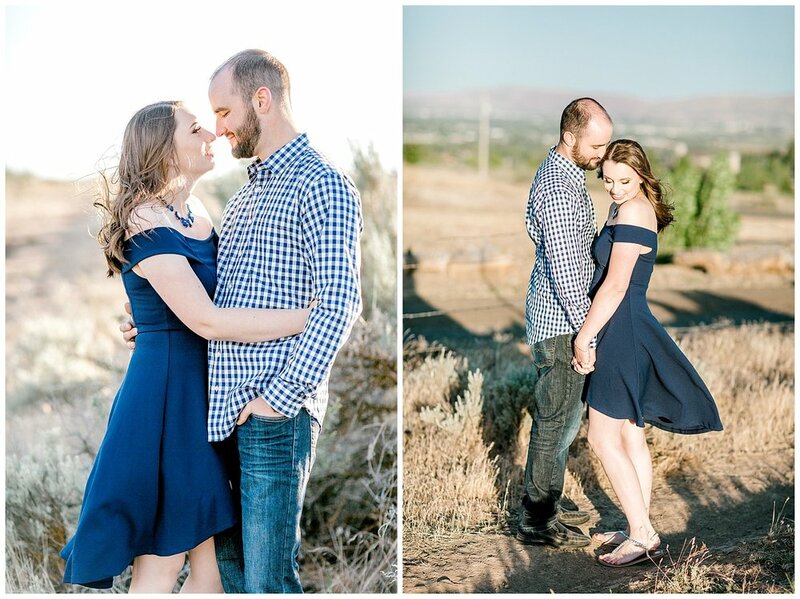 I would say it was all worth it though, we ended up with some fantastic photos of the two of them and we finished up and headed to the top of the Cowiche Canyon ridge and there was an incredible view but no shade or cover anywhere so we rocked the open sun!! 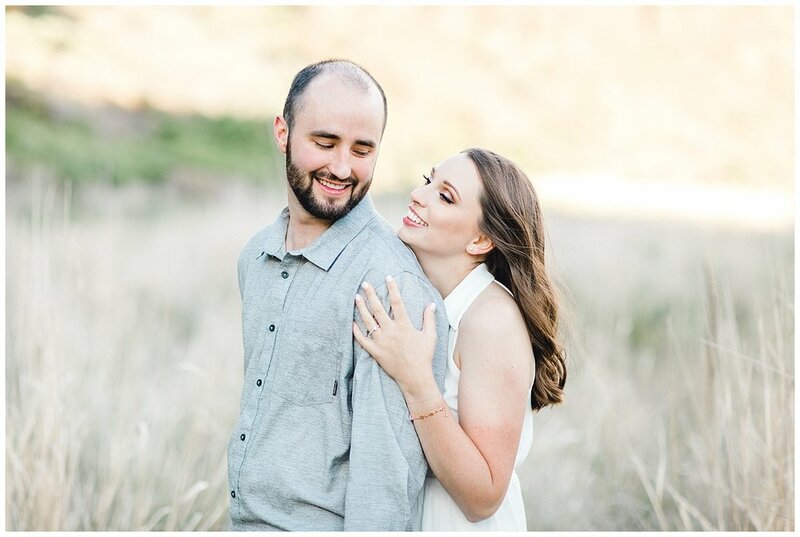 I love the lighting changes in this session and these two completely killed it!! You can tell they completely adore each other and their wedding will be incredible! I am so glad they found each other and weren’t afraid to express their love for each other in photos. 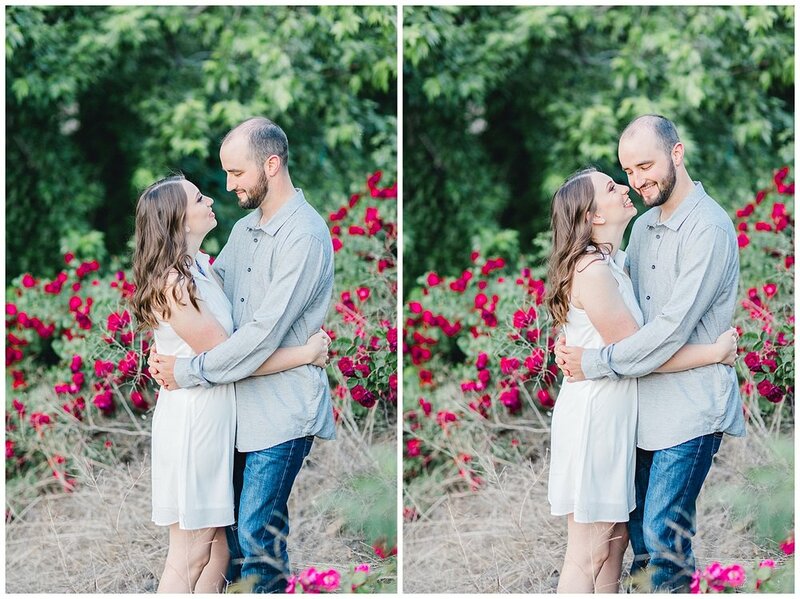 The wedding is coming right around the corner and I can’t WAIT!! !